The Brewhaus Bakery Co. is a not-for-profit company dedicated to providing vocational training for young adults with disabilities. 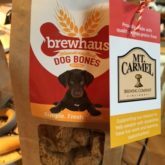 Brewhaus Dog Bones are always handcrafted, small batch, oven baked dog treats made from whole grains proudly sourced from local microbreweries. Your purchase supports fun, meaningful project based learning and work skill development to inspire and enable people to improve their lives and the world around them. Thank you for supporting our mission! PAW IT FORWARD! 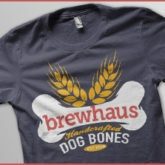 Donate Online & Support Brewhaus Dog Bones Today!